Dry roasted peanuts are sometime not animal product free. They just does not contain salt and peanuts alone. If you look at ingredients you may be surprised to see gelatin. Gelatin is derived from collagen in pig bones or cows, hooves and connective tissues. 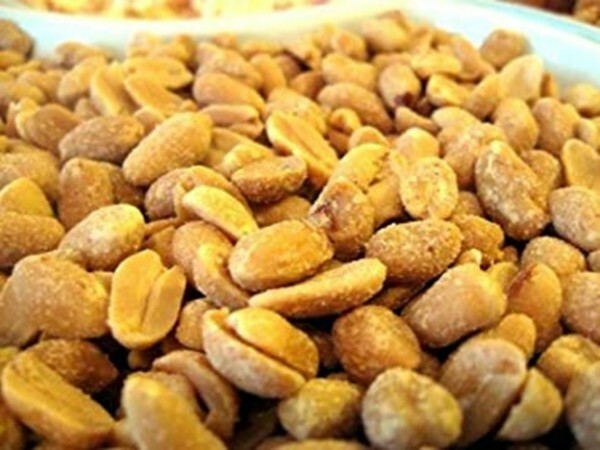 Reason for using gelatin in salted peanuts is, it is an adhesive and to ensure salt, any spice and flavorings added will stick to peanuts effectively. Buy shelled peanuts instead. Or you can prepare your own salted, spicy peanut using butter.